If you were one of the lucky few to get invited into Samsung’s secret briefing at CES 2018, you didn't get a look at the upcoming Galaxy S9. Instead, you would have seen specs for the company’s white whale: a foldable phone. According to people who were there, the handset has a 7.3-inch screen, folds both ways, and is due to launch later this year. And if you were at last year’s Mobile World Congress or CES in 2011, you saw something similar. Samsung is so proud of its foldable screen tech that it’s been trotting it out for no less than seven years. And every year like clockwork, we’re convinced that this is the year it’s coming out. Maybe by the end of 2018 there will finally be a foldable Samsung Galaxy X phone for sale. But I’m not holding my breath. Late last year, ZTE introduced the Axon M, which the company bills as the first phone in “a new smartphone category.” That category is folding. Like most first-of-its-kind products, the Axon M is a curious device with its share of flaws. In our hands-on with it, we found it intriguing but came away with a lot of concerns, chief among them, how content fares across the middle hinge. The Axon M folds but its screen doesn't. 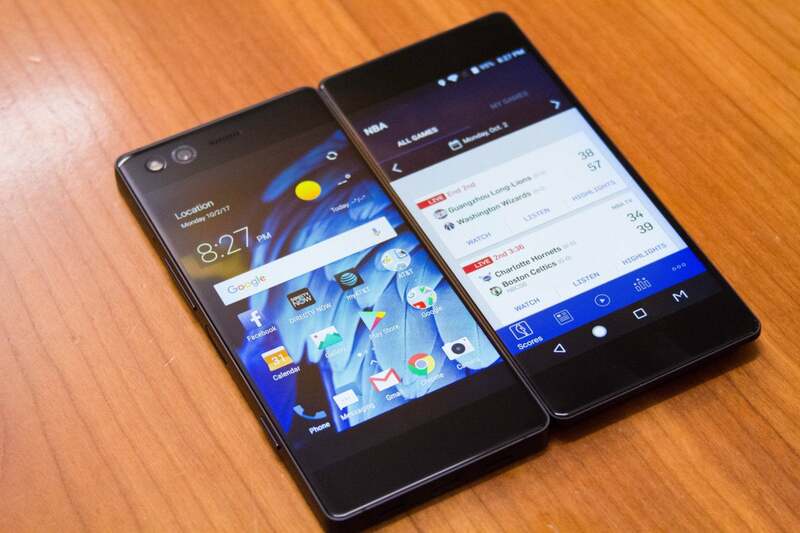 You see, the Axon M folds like a Nintendo 3DS does. Samsung’s method is supposed to eliminate that issue with a screen that’s truly foldable so when it’s open it’s like holding a 7-inch Galaxy Tab S3, bringing the best of both worlds. 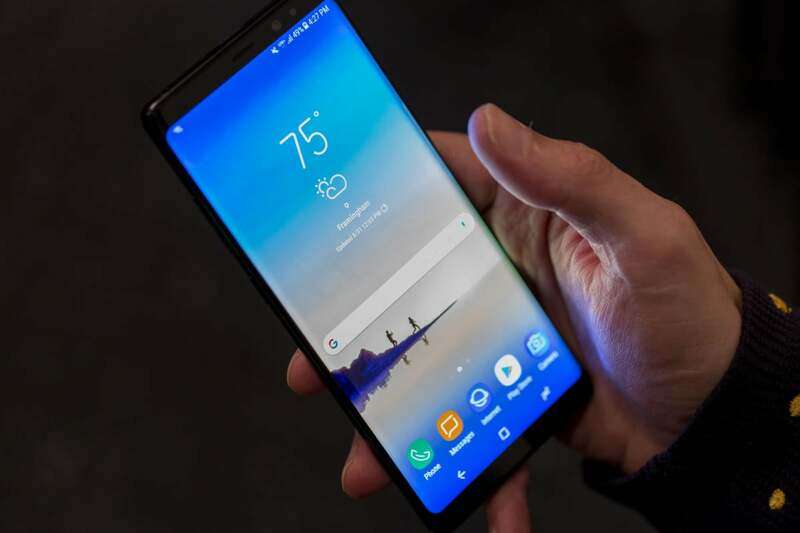 When you want it to be a phone, it would look like a standard handset, but when you want to watch a movie or get work done, you could expand it to a full screen just by opening it up. It sounds like the stuff of Blade Runner and Ghost in the Shell (or Samsung's own prototype video from five years ago, seen above): a versatile, all-screen device that magically converts when you need it to, lasts all day, looks great, and fits comfortable in our pockets. Forgive me if I’m skeptical. By this point I’m sure Samsung’s foldable display tech is rock-solid. Heck, back in 2011 it looked good enough to mass produce, so by now, it’s bound to be mind-blowing in how it can bend, shift and scale without creasing. Samsung has some of the best engineers on the planet with loads of money to pour into R&D, and it clearly wants to bring the foldable phone concept to market. So I have no doubt that whatever it showed off at CES this year was very impressive. But after seven years of prototypes and promises, perhaps the problem isn’t the tech. Maybe we just don’t need a folding phone. There’s a reason why the market for Android tablets barely exists. It’s not that they aren’t as fast or as well-designed as an iPad or even that the screens aren’t as good. It’s the software. Android Nougat on a tablet is OK, but there isn’t anything about it that truly sets it apart from a phone. And when it comes to apps there just aren’t enough of them that are optimized for the larger screen. The Galaxy Tab S3 is one of the best Android tablets you can buy, but it still suffers from lackluster software and limited app support. If Samsung were to release a transformer phone that folds, it would no doubt optimize all of its own apps for the experience. The only problem is, no one really wants to use them. It’s not that they’re bad, it’s just that the stock Android ones are better. How would Chrome work? How would Gmail work? How would Assistant work? These are important questions that need to be addressed before a foldable hybrid phone makes it to market. And then there’s the OS itself. To be useful, a foldable phone would need to scale in an instant, and from what I’ve seen of the Samsung Experience on a phone, it’s a dubious assertion to assume it will. And then there’s battery life. Assuming all of these things are addressed—apps, scalability, experience—how will a phone with a 3,500mAh battery power an 8- or 10-screen all day, especially one that needs to be active at all times? Our tablets have insane battery life because they have insanely large batteries. The battery inside a foldable phone will need to be much smaller for design and case concerns. But above all, the question remains: Do we really need—or even want—a foldable phone? A true foldable phone with premium specs would likely be priced well over $1,000, but even with a somewhat reasonable $950 price tag, who would the target consumer be? With the Note 8’s 6.3-inch screen, we’re already reaching the limits of handset comfortability, so I’m not sure a folding phone would bring much to the table when it comes to ergonomics or useability. The Note 8's screen is already big enough. And that's not to speak of the issues with the camera, wireless charging, and water resistance. Would it be cool? Sure. Innovative? Absolutely. But after seven years and lord knows how many rumors, I think it’s finally time for Samsung to give up the idea of the folding phone. The hype around it would be astronomical, of course, but ultimately Samsung has more to gain by improving Bixby or fixing the fingerprint sensor on the Galaxy s9 than by teasing us for another year with a futuristic concept. As they say, you gotta know when to fold ’em.